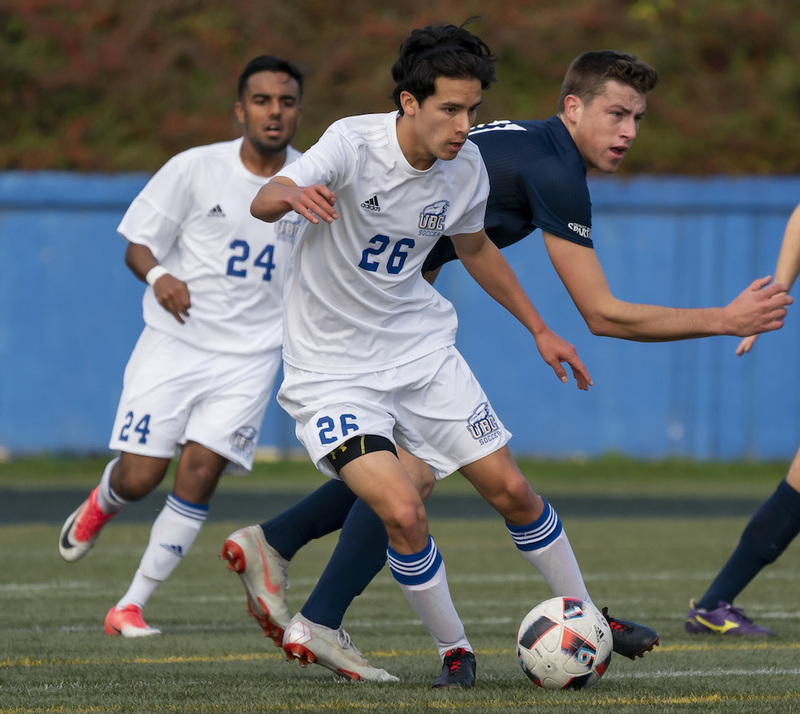 That such wide-ranging appeal has been so firmly established before his rookie season with the UBC Thunderbirds is even over speaks to a level of presence that goes deeper than mere talent. And so with all of that in mind, what better stage could there possibly be than a U Sports men’s national soccer championship tournament, hosted by UBC and set to begin a four-day run at Thunderbird Stadium, at which to watch a kid from North Vancouver so uniquely gifted that he recently re-defined the standards for a dynamic debut in the nation’s most celebrated soccer conference. 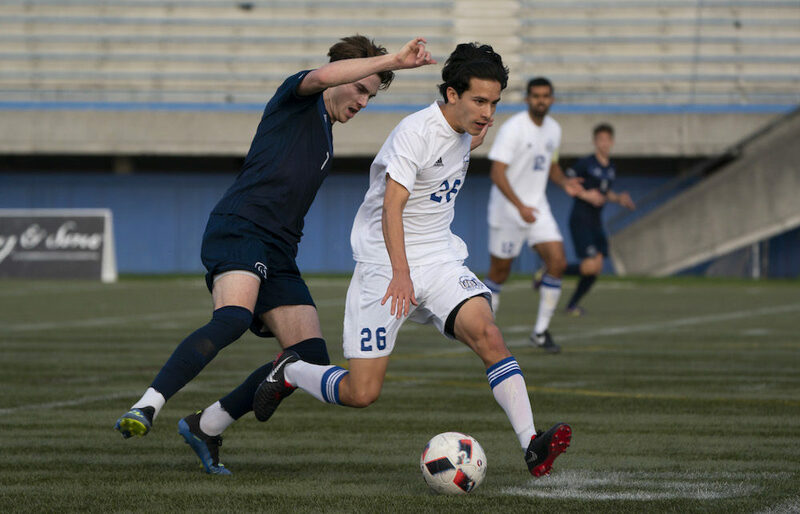 In that regard, becoming the first men’s soccer player in Canada West history to be named its Top Rookie and its Player of the Year in the same season has meant that he’s ticked every box in the seasoned eyes of conference’s coaches. “I think it’s full credit to the coaches in our conference who do the voting that they realized all of the subtleties that this player has,” UBC head coach Mike Mosher explained Tuesday of Gardner, a 5-foot-9, 150-pound midfielder who scored six times in 12 Canada West league games this season. Of course there’s also the fun parts of Gardner’s game, the stuff better watched with a bag of popcorn. 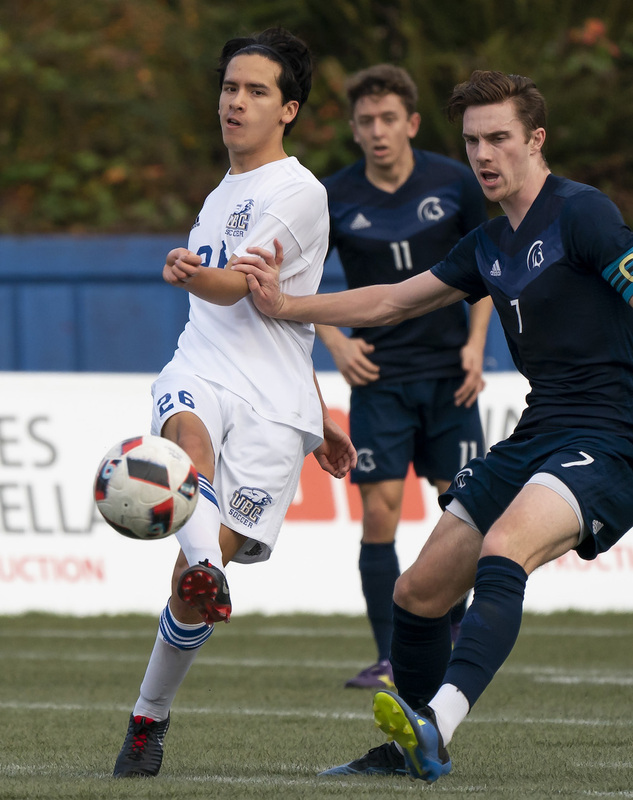 Of his six goals he scored this season, five of them came off free kicks, including a streak of one in each of four straight UBC home victories. Even more impressive, two of those four free-kick goals were game winners. And if you think it’s just scratching the surface talking about Gardner’s niche for the free kick, you’re right, but only to an extent. And that’s because when you listen to the best description of that singular skill, about how he makes a soccer ball travel in some pretty unconventional ways, you start to think about his own soccer journey and how it, too, has followed a road less traveled. “He’s got an uncanny ability to hit a ball that doesn’t necessarily fly how you think it should fly,” says Mosher, who could just as well be speaking about his rookie’s fateful migration off the direct path to the professional ranks to life as a student-athlete at UBC. Thomas Gardner is the first to admit timing has played a huge role in his road to life as a student-athlete. He was one of B.C.’s best youth talents from about the time he joined the Whitecaps residency program back in 2007 as a nine-year-old. Stints with the Canadian U-15 and U-17 sides followed, as did a transformative three seasons with the United Soccer League’s Whitecaps’ FC2 team. It was over his USL career with Whitecaps that Gardner immersed himself in the world of professional soccer, even getting moments to train with the club’s first team. Yet in 2017, the USL franchise relocated to Fresno, Cal., and at that point, Gardner elected to re-trench and pursue his pro soccer aspirations from a different base: As that of a student-athlete. “It was about timing,” says Gardner. “I was planning on pursuing a pro career, but after they moved, I decided it was time to head back to school. The CPL announced in mid-October that its partnership with U Sports will give top-rated players the opportunity to be signed to CPL/U Sports developmental contracts, play for their new teams in the spring and summer, before being allowed to return to their university sides in the fall. The first draft, in fact, will take place this Monday, one day after the completion of the U Sports national championships. Whether through trained or untrained eyes, those who have watched Thomas Gardner on the pitch have had plenty to smile about. With a chance to get an education, to play the game at a high level in a more collegial atmosphere, and to keep that professional dream alive, Gardner is enjoying a new chapter in his soccer life. Of course you can expect the crowds at Thunderbird Stadium to wait with anticipation for the chance to witness a Gardner free kick over the course of these championships. Gardner, however, freely admits that the flair he displayed this season on free kicks, generating balls that arrived with an unpredictable, knuckle-ball like fashion, were actually much better when he was a younger player. As have a lot of other things.